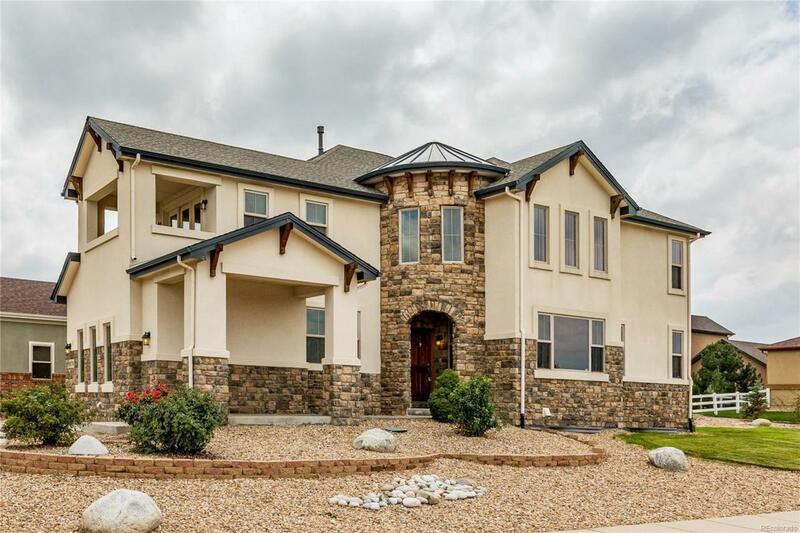 This gorgeous, semi custom Sheffield Home in Pioneer Ridge has it all! Large family home sits on more than a -acre corner lot. Inside & out, youll notice fine architectural features that boast luxury. Living room w/ volume ceilings, loads of windows & natural light, stunning iron staircase! Pristine kitchen features knotty alder Tharp cabinets, granite countertops, island, black appliances, breakfast bar & nook. Large family room w/ gas fireplace & access to huge backyard. Main level den/study, powder bath, laundry room w/ sink & lots of cabinets for storage. Second level has 4 spacious bedrooms, 3 full baths, loft & massive owners retreat. Master suite has his & her walk-in closets, private balcony, sitting area, turreted entry & stunning 5-piece bathroom. All bedrooms have organized large closets. Entertain outside on the covered patio, firepit & seating area, Xeroscaped-low water usage on private corner lot. Large 2+1 attached 3-car garage. Unfinished spacious basement! Come see!